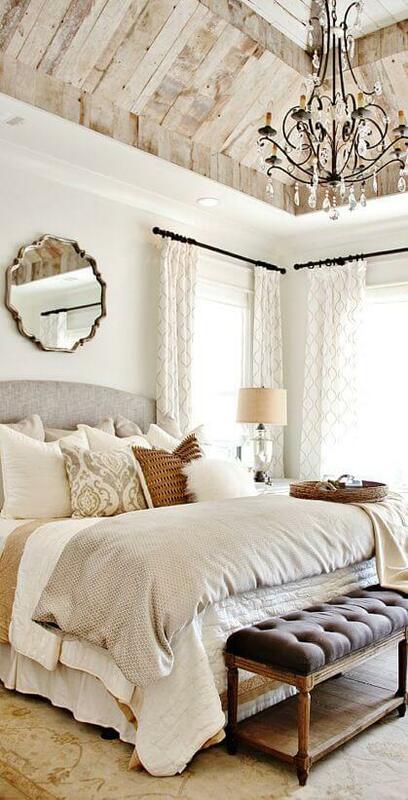 Are you bored with your old master bedroom and want to put a twist to it? Then it may be time to give your room the ultimate makeover and have it look like the gorgeous and ample space that’s perfect for a good night’s sleep. But the question is: Where do you start? It’s time to start investing in impressive furniture upgrades! So read on as I show you the nine best master bedroom furniture upgrade ideas that will have your usual room look like a haven like what you see in magazines. 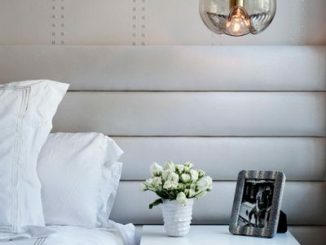 Here are the nine easy, simple, and effective ways you can upgrade your master bedroom! 1. Start Off With the Beddings! What is the bedroom for? Sleeping! And what helps you sleep better? The right beddings! Not only will it be comfortable for a good night’s rest, but the beddings are what will make or break your whole room’s design, as the bed is one of the first things you’ll see when entering the bedroom (hence the name!). I recommend that you get a quality set of best bamboo sheets, which create a natural and earthy appearance. You can also opt for linen or silk sheets if you want it to look a bit more quaint or sexier for your partner. 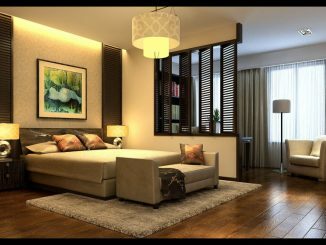 More light will be able to make any room look brighter and bigger, and the master bedroom is no exception! 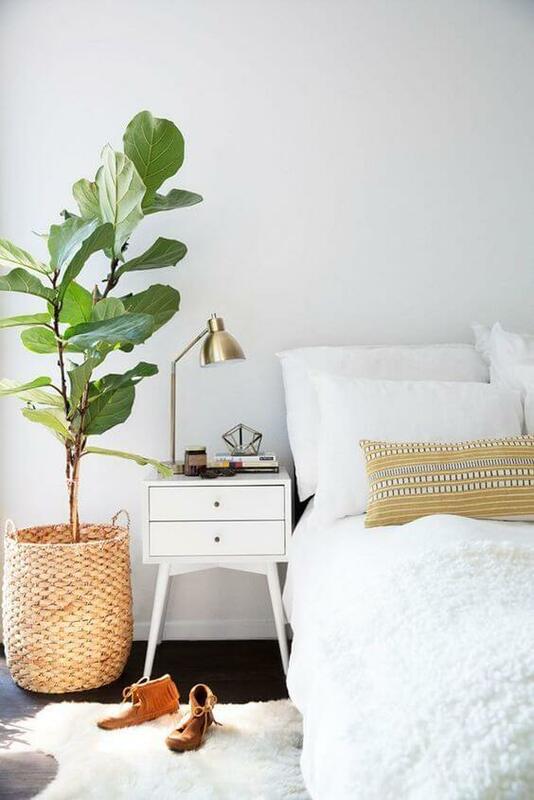 That doesn’t mean to add a ton of lamps or an expensive chandelier for bedroom lighting, but to let nature run its course and open up your windows for a bit of natural light that will give vibrancy and beauty to your bedroom. 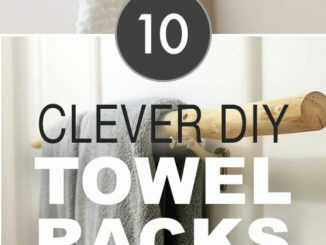 You may also want to install mirrors in one part of the room, or on the closet doors. Not only does it save time when getting ready, but the light bounces off the reflections, making the room look brighter and bigger. 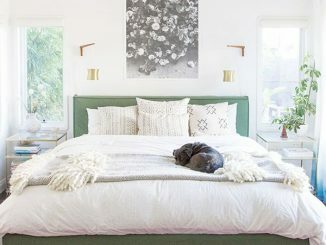 No, you don’t need to throw your old bed frame away! You can give it a small upgrade by installing a new header that would match the frame. You can go for classic vintage styles for a quaint look, or a sleek and modern headboard, which will exude a contemporary design for the minimalist to appreciate. 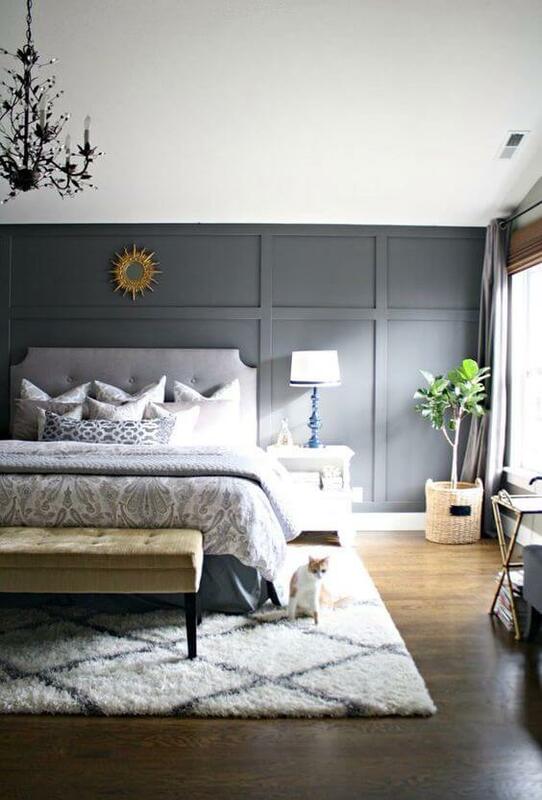 If a headboard is out of the question, then why not add art on the walls, on top of your bed? It adds a whole new dimension to the feel and appearance of your bedroom, helping you relax the mind as beauty is the first thing you see when you get up, and the last you’ll see before sleeping. Nothing will make a bedroom look more beautiful than cleaning it up and having it look pristine and organized. If you are unable to declutter and throw away some of your things, then add some storage and invest in dressers, a stylish container or two, and even a trash can to avoid leaving used tissues and papers on your end tables! Also, do not overpopulate the room with too many pillows and furniture. You’ll want to stay minimalistic here to avoid cramping and making the room look smaller! 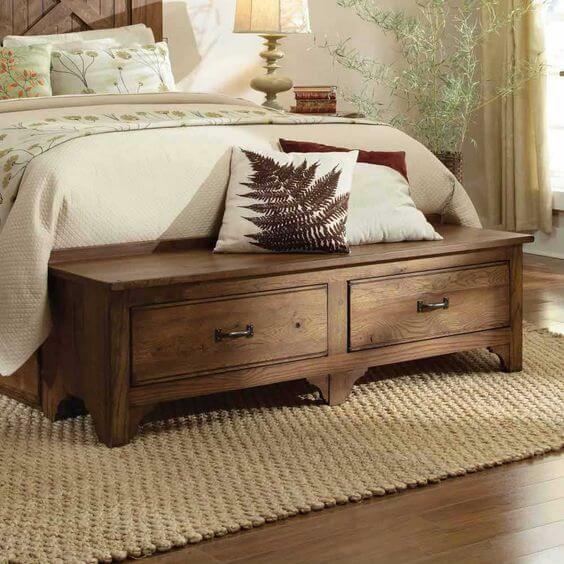 A small bench in front of your bed is great for those who want it their rooms to look cute and quaint. It also adds extra seating if you have a slumber party going on! Opt for something with natural and earthy colors. And hey, instead of the usual bench, you can also have a wooden box, which adds more class and can act as a bench AND storage area for extra items. Houseplants are one of the best natural and affordable ways to bring beauty to any room. Plus, the oxygen it will emit is excellent for your health (and sleep!). I suggest that you have a few houseplants in the corners of your room, or a small one by your desk and end table. You’ll love the personal feel it can give. It also lessens your stress! A lot of you may already have the end table or bedside shelf! But if you don’t or you’re already tired of yours, then it’s time to invest in one! 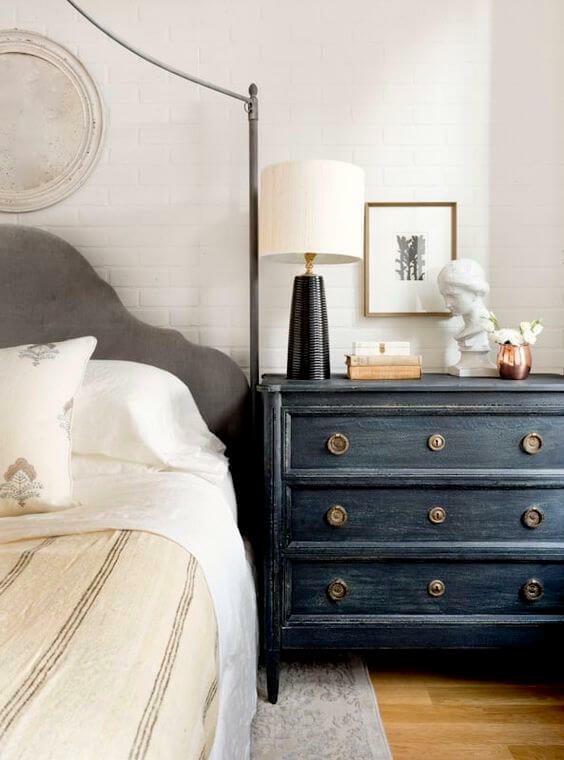 Add a few vintage details to your room by investing in an antique end table, which will make your master bedroom look classy and elegant. They are also useful as well, as they are a place where you can add a nightlight, put your glasses, or even a book and phone, for safekeeping. Your walls may look beautiful and already match the motif of your room, but you might have forgotten the floors! To make a room look bigger, add a plush rug, which feels lovely to step on and adds a nice touch to your surroundings. 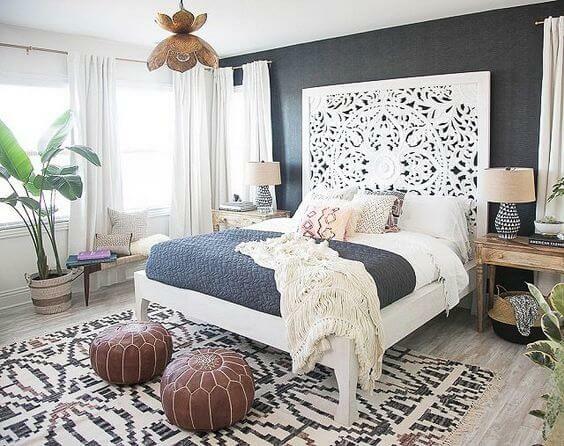 Make sure that the flooring should blend in or contrast your bedroom’s design! Just like decluttering items in your room, you must organize to ensure that everything is in its place and looks neat. 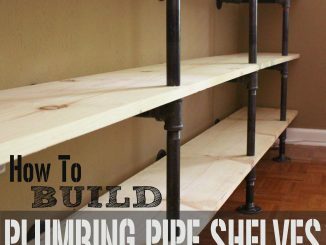 Consider adding bookshelves to add your things to (not just books!). It adds class and character, especially if you have it filled with prestigious books. Add it in an area where there is ample space. And there you have it! 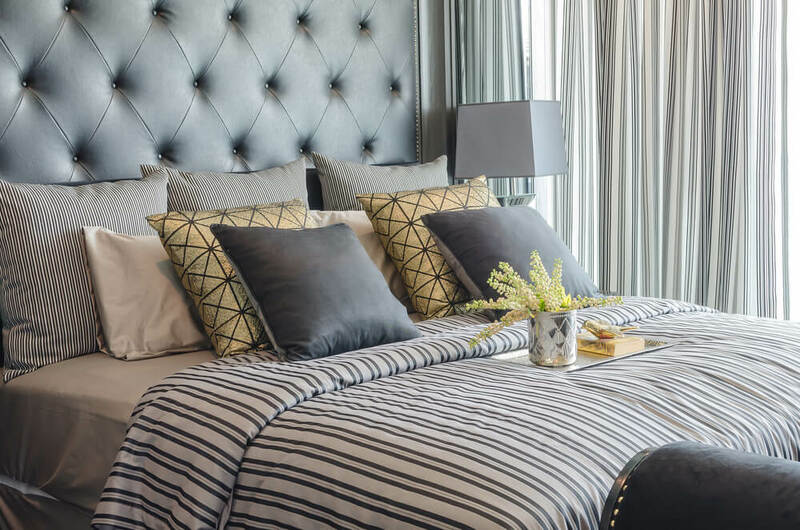 These nine excellent ideas are meant to not only make your bedroom look cozy and beautiful but larger and with more room for the necessities to make the master bedroom fit for a king. I hope that these master bedroom furniture upgrade ideas helped you figure out what you can do to make it look pristine and gorgeous to impress. So don’t wait any longer and start trying any of these ideas today! 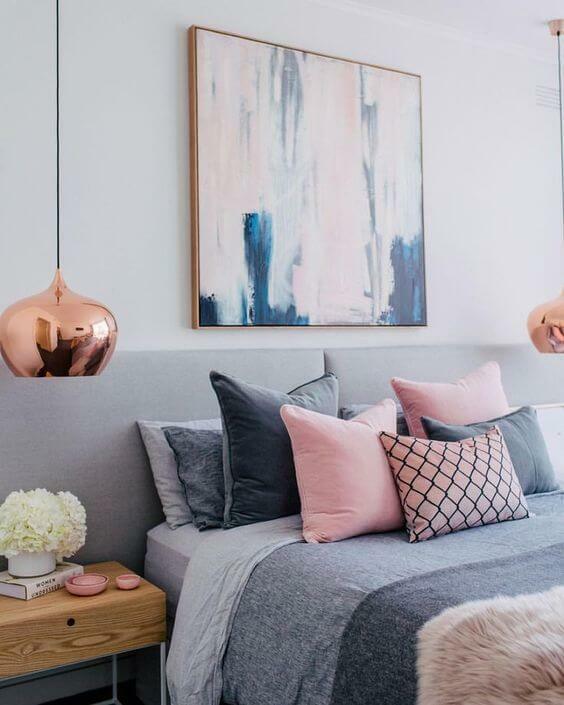 If you have any questions or would like to share your tips and experiences with giving your master bedroom an upgrade, then comment down below. I would love to hear what you have to think.